Hope you like it (personally, I can't understand why her lips are red and her left arm is not properly attached, but I overall like this take on Eilistraee). I suspect that was done with Poser, but I quite like the skin color and the pose. 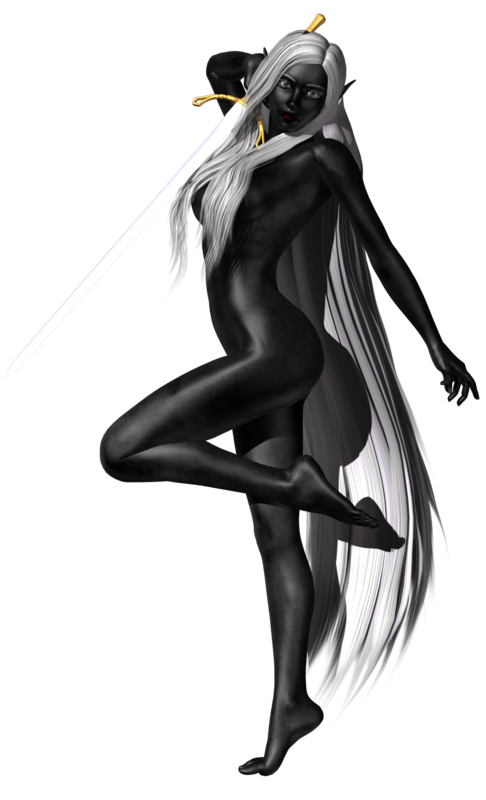 Yes, the skin color is really good, it's rare to find drow art that gets it right. I also like that we get to see Eilistraee's eyes, they are closed or partly hidden in most of the pictures that I've seen. Leema Har'gachi approve this picture. Was this on deviantart? 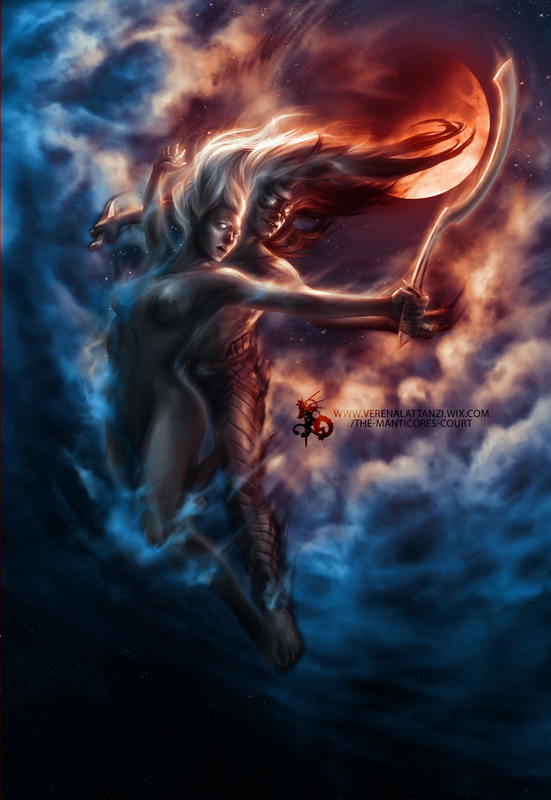 This is really good, deviantart needs more picture of the goddess anyways. hehehe also HUGS FOR EVERYONE!!!! A goddess is not easy to get right, and people tend to draw their own characters, so there's that. Mmmm, I love it. Very nice. She's a goddess, her eyes can be any color she wants them to be. But yes, it's a lovely picture. Really like the shading of the skin and hair. Thank you for sharing. Yeah, she could... but silver eyes (with a touch of blue in some versions ) are her thing, and much more beautiful IMO. Violet kinda is Drizzt's trademark. *squint* I feel like her facial perspective is off somehow. And her hair doesn't seem nearly long enough. The shading and the gleam on the sword are certainly pretty though. It has a delicate touch. It surely doesn't perfectly adhere to how Eilistraee looks like, but it is really pretty and, as you say, it has a delicate touch. Can always say that's it's really one of her priestesses. Unless she's doing particularly goddess-y things or has a particular aura about her, could as well be. Still quite like the image though.